Our students are assigned to counselors, according to last name. Counselors are here to help students succeed in school and in life! Need someone to listen? Talk to us. 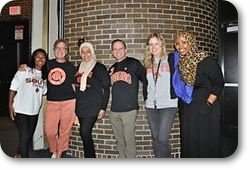 To support South High School’s mission by providing comprehensive, developmental counseling services, with a particular emphasis on eliminating the racial achievement gap and support all students in creating a positive, productive life for themselves beyond high school. We want to educate lifelong learners through critical thinking, providing challenging curriculum and helping students discover their passion, embrace different cultures and have a curiosity about the world around them. We want to ensure that every student is college and career ready. Opportunities to make up credits. Letters of recommendation and planning life after high school. 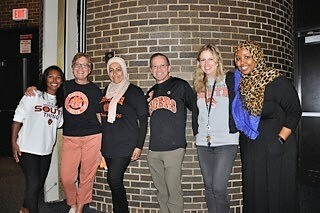 Ways to get involved and connected to the South High community. Referrals for support, including mental and chemical health services. Before or after school, or during passing time. We also organize academic planning events, listed here and on the main school calendar. 8th Grade Registration Night is on Thursday, April 25th, 2019 from 6:30-8:00pm at South! Counselors met with families to discuss academic planning for the 2019-2020 school year. Be sure to check out the Counselor Slideshow Presentation to review the important information. Counselors met with seniors to discuss senior year and post-secondary planning. Be sure to check out the Counselor Slideshow Presentation to review the important information.